Maldives has officially marked the completion of the biggest ever infrastructure development project conducted in the Maldives. The Sina-Male' Bridge was officially inaugurated by President Abdulla Yameen Abdul Gayoom and special envoy of the Chinese government, Head of the International Development Cooperation Agency of China, Wang Xiaotao at a ceremony held at the Capital City of Maldives. 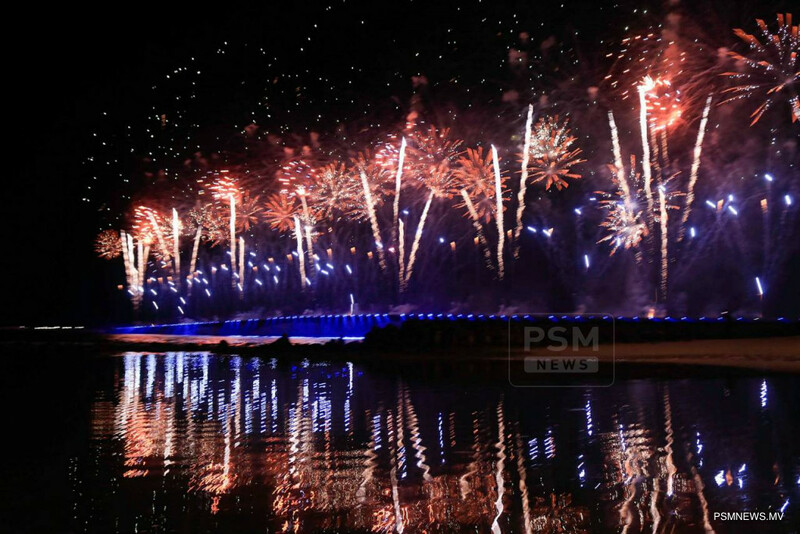 The ceremony held to inaugurate the bridge was attended by cabinet ministers, parliamentarians, government officials, special invitees and others. Sina-Male’ Bridge is the largest infrastructure development project to be ever conducted in Maldives. The bridge connects Male’ City and Hulhule, where Velana International Airport is located. The 2.1-kilometre-long bridge has four vehicle lanes and two pedestrian lanes. Sina-Male' Bridge is an important electoral pledge of the President Yameen. The Sina-Male’ Bridge was constructed at a cost of USD 200 million, out of which the government of China provided USD 100 million as grant aid and USD 70 million was provided as loan aid. The remaining amount was funded by the government of Maldives. The bridge was constructed by CCCC Second Harbour Engineering Company.